The New Lift is Installed! March, 2016 was an exciting month, especially for Sheila Penney and the Accessibility Committee! 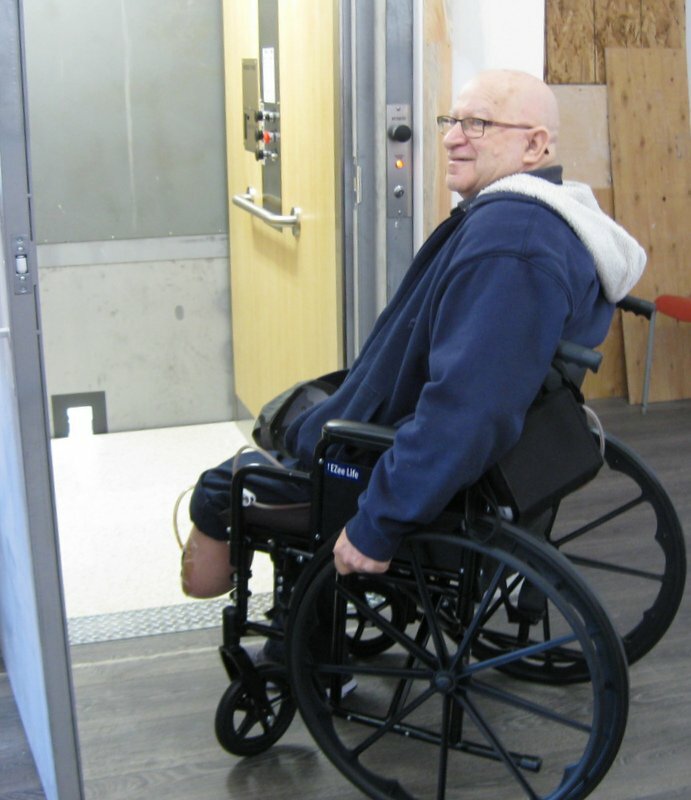 Our new lift is now installed, allowing those with mobility issues to easily access all levels of our church building. It has been a long wait but good things come to those who are patient! 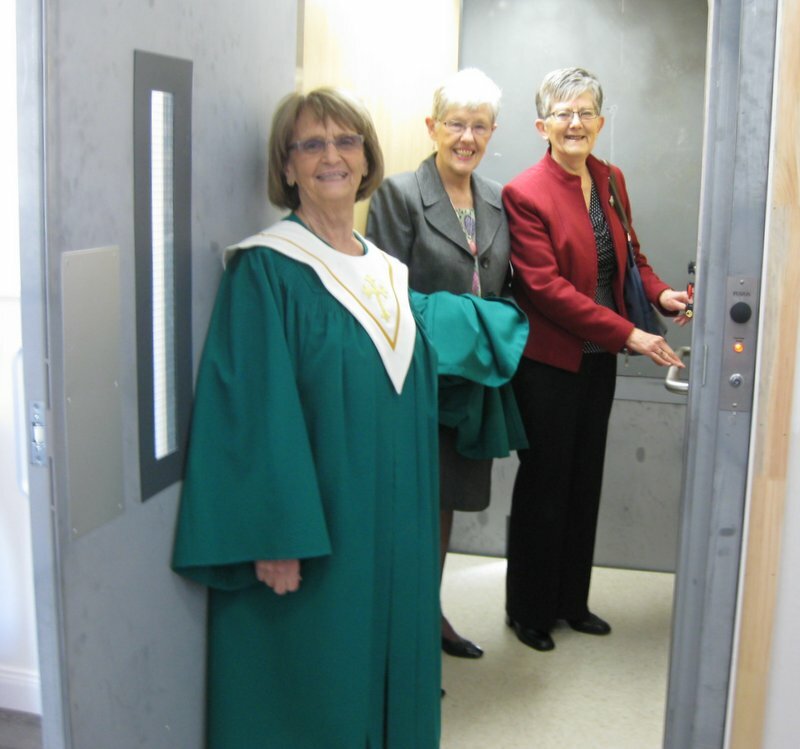 Shown here are Sheila Penney (Chair of Accessibility Committee), Marg Frenette and Loraine Ward, enjoying their first ride on the new lift. ​Henry Babineau makes use of the newly installed lift. Now we can welcome all folks to our worship services from either entrance and to social times in the church basement! March, 2016 is indeed a happy time for New Maryland United Church! 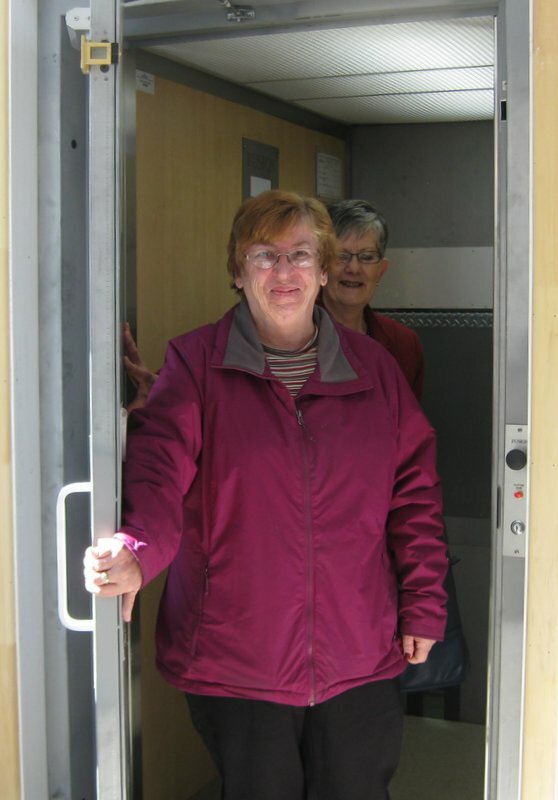 ​Verna Brett and Loraine Ward are all smiles as they check out the new lift installed in March, 2016.